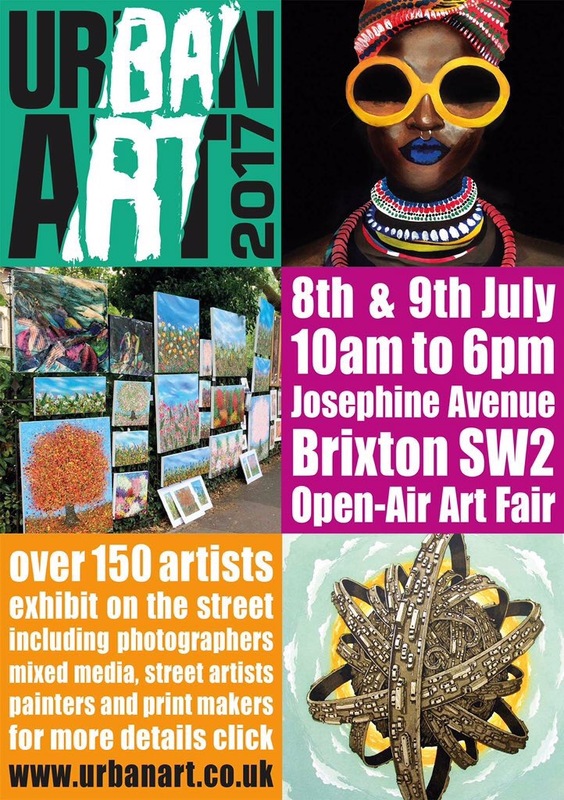 This weekend, over 100 artists will display over 1000 pieces of art at London’s largest open-air contemporary arts fair. Get to meet local artists and see their work as they exhibit using the pavement railings as an open air gallery. Now in its sixteenth year, the Urban Art Fair is an affordable and credible exhibition space for new and established artists. The event also fund raises for local causes which this year are Holy Trinity School, Jubilee Primary School, Southside Rehabilitation project and the Anchor Group, all of whom will receive a percentage of the sales made during the weekend. This art fair is affordable with prices to match for all art lovers, whatever the budget. The best bit about the fair is that you get to meet the artists and chat to them about their work and even take it home if it’s finsale! So whatever your art passion; painters, printmakers, street artists, photographers and mixed media head on down you will not be disappointed. Urban Art Fair is London’s largest annual open-air Contemporary Arts Fair and takes place along the railings of Josephine Avenue, London SW2. Open 10.00am to 6.00pm. Free entry. I’m sorry I don’t understand your website … I want to apply for a space to exhibit and paint portraits… how do I apply for a space for 2018? Hi, I am sorry I am not clear what it is you are looking for?